90 seconds is a long time to bear at the beginning of the new episode we've been impatiently waiting to see for a whole week. 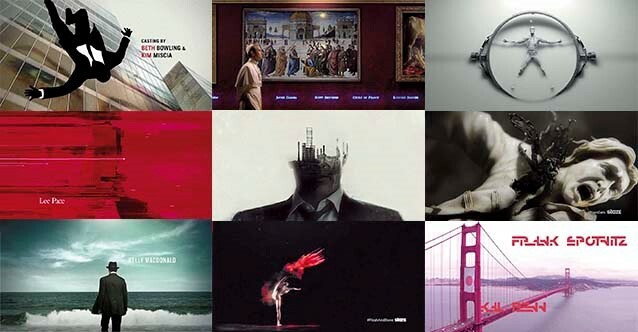 That's why it's awesome that we rarely have to and instead we often find ourselves admiring the title sequences of our favourite shows. They're the art work of a few masters of digital design and their production is often as huge as that of a feature film. Today we open the cook of "How to design a good title sequence, along with the best examples from the field, more of wich are connected with one name - Patrick Clair, and that is not a coincidence. His studio Antibody and the art collective that he is an art director of - Elastic, are responsible for the great beginnings of Westworld, Tha Man in The High Castle, Daredevil, Halt and Catch Fire and - most importantly - True Detective, that has won an Emmy award for Outstanding Title Design. According to Clair, a good opening sequence is always based on a simple idea and if there's a way, we should always incorporate a human element in it because the audience find human bodies, gestures and refrences more intriguing. Elastic's portfolio is full of examples of how you can achieve that with different techniques and never directly - with the faces of the actors, but always more deeply - with the qualities of the charachters. However, no matter how good a design is, it could never achieve anything without the music. Take, for example, the title sequence of Game Of Thrones in which the music sticks to you mind way effectively that the visual elements. Tha main competition of Elastic is Imaginary Forces and their portfolio is not less impressive with the beginnings of Mad Men, Vinyl, Boardwalk Empire, Black Sails and Stranger Things under their belt.